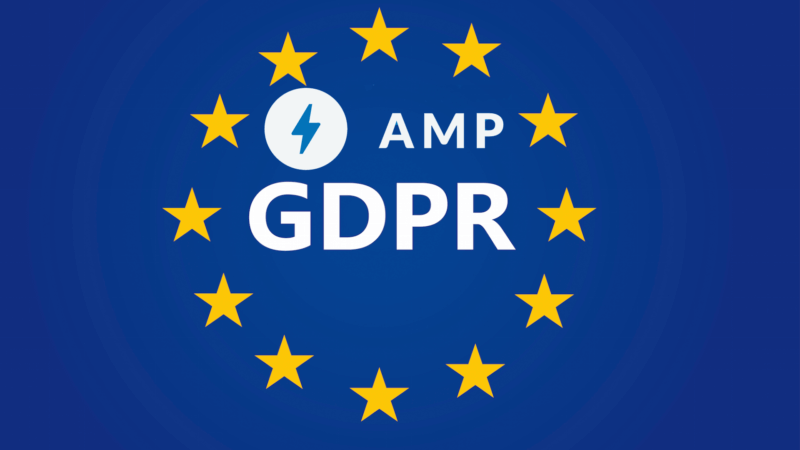 With the deadline for the General Data Protection Regulation (GDPR) fast approaching, Google’s AMP team has announced a component to enable publishers to surface a user consent notification for sites using the mobile-friendly framework. The features to be launched include the ability to show choices in user interface notices via “accept” and “reject” semantics, and configuration of AMP element behaviors in response to users’ choices. AMP supports over 100 vendor-provided capabilities ranging from analytics to ad tech to video players and other kinds of content embeds. As a publisher, if you want to ensure your vendors integrate with AMP’s user control features, please encourage the vendor to engage with the AMP Project. It’s important to note that for now, GDPR compliance applies only to EU citizens visiting a publisher’s site. You’ll want to dig into understanding how that goes beyond mere country detection, however, as EU citizens not physically within the EU are protected by GDPR wherever they are. In speaking with the IAB Senior Manager, Privacy and Public Policy Matthias Matthiesen at IAB’s annual leadership conference earlier this year, he noted that because of the intricacies of compliance, many publishers and organizations coming into compliance are taking a “GDPR everywhere” approach because parsing out consent for users “of unknown citizenship” is actually the more complicated path.